Malcolm McDowell is a legendary actor with numerous iconic roles in a wide assortment of classic films to his credit, and when he took over the part of Dr. Sam Loomis in the two most recent Halloween movies, it was a surprisingly fresh and sometimes controversial take on a beloved character within horror’s biggest franchise, a brave portrayal of the tragic hero. 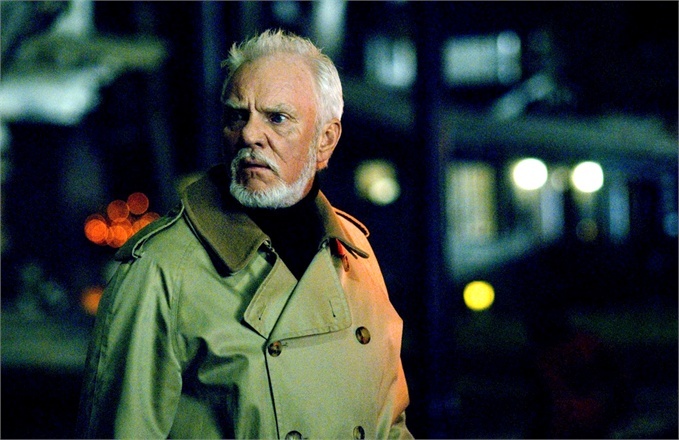 Malcolm McDowell is Dr. Sam Loomis in ‘Halloween’ (2007). When we caught up with McDowell at the Mad Monster Party horror convention last month in Charlotte, North Carolina, we got a taste of what we can expect from his next collaboration with Rob Zombie in the upcoming Halloween-themed 31, and we discussed how he approached playing Dr. Loomis and his own suggestion to Zombie that they completely transform the character for the 2009 sequel. Read on for our interview with Malcolm McDowell! What can you tell us about your role in 31? 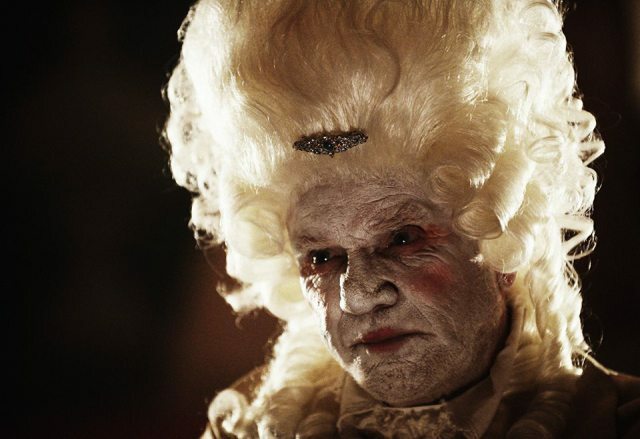 Malcolm McDowell is “Father Murder” in Rob Zombie’s ’31’. And this is your third time working with Rob Zombie. What was your experience like playing Dr. Loomis in the Halloween remake? “Well it’s a wonderful role, and of course to follow such an iconic actor as Donald (Pleasence). I asked Rob if he thought I should see it (the original Halloween), and he said ‘No, maybe after’. So I never actually ever saw it. “I thought it was a rather comedic sort of figure in a tragic sort of way – a doctor that’s only had really one patient. Obviously he’s not a very good doctor, is he? One of my favorite scenes is when the parent of one of the murdered girls comes to the book signing and confronts Loomis. I love that scene. “ I do too. And then when he realizes. He sees the thing in the hotel room, and he realizes basically what a jerk he’s been. And there is some redemption. “Then of course, I don’t know if he’s really dead or not. “In the world of Halloween, nobody is really dead. Even if their heart is skewered to a door, they’re likely to come steaming back. Read all of our interviews here!